There’s only a month left for Windows 7 and 8 users to upgrade to Windows 10, if they don’t want to pay for the newest desktop operating system by Microsoft. While the OS has generally received positive feedback and continues to be improved, many have criticized the company for being too aggressive in its attempts to make users upgrade to Windows 10. Since the release of Windows 10 in July last year, we have seen a huge number of complaints, reports, memes, and what not, of users not only being annoyed by these upgrade tactics but also embarrassed, in some cases. The company has generally taken a no-response approach to these complaints, with a couple of over-the-counter “the OS is a choice; we don’t force it” kind of messages. Following what is now being called as blatant-malware strategies, Microsoft had a goal of reaching to over 1 billion devices within 2 years of the release. It seemed very clear that the company would go to great lengths to achieve that number, especially when the growth rate started to take a few dips in the last few months. So why are we talking about these Windows 10 pushy strategies again? Well, seems like at least someone has been able to haunt Microsoft a little about these forced upgrades. According to reports coming from Seattle, Microsoft has just paid a woman $10,000 over an unwanted Windows 10 upgrade. Teri Goldstein, who owns a travel agency in California, had sued the company over forced Windows 10 update. 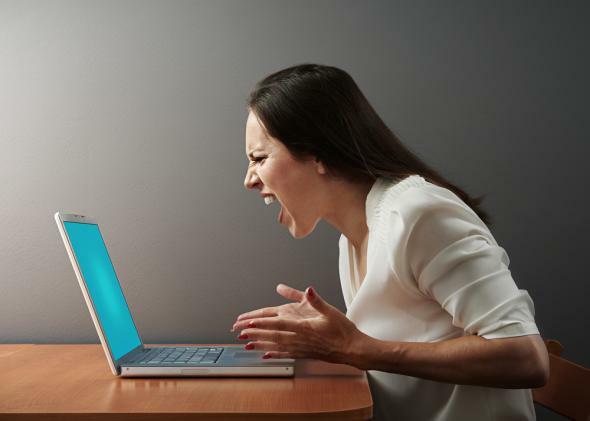 Goldstein claimed that she didn’t authorize the upgrade which made her business PC unusable. “I had never heard of Windows 10,” she told the Seattle Times. At least not until she found it installing on her computer, which started to crash on a regular basis after the upgrade. Being an owner of a small business, Goldstein couldn’t afford her PC crashing on her all the time. She approached Microsoft Support for help, but didn’t get her problem solved. Unlike many others who rant about these forced upgrades online and then try to get along with it, she decided to take some action and took Microsoft to the court. Filing a lawsuit against Microsoft, Goldstein sought damages to cover lost wages and the cost of a new computer – yep, that does sound sweet. Microsoft dropped the appeal and agreed to pay $10,000 in damages. But, Microsoft insists that this was done to avoid the cost of further litigation, and not as an admission of guilt. If you say so, Redmond. Acceptable or not, Microsoft has been doing it for almost a year. Many hope that the company will stop these pushy upgrades once the free offer ends on July 29. Those who want the new operating system will have by then availed the offer, and those who are happy with the older versions of Windows will be able to use it without Microsoft disturbing their peace and quiet.